The Washington Metropolitan Area Transit Authority is in the process of upgrading its fare collection system to one that uses all contactless smart cards. Greg Garback, executive officer in the Department of Finance at the agency, discussed the impending changes at a meeting of the Government Smart Card Interagency Advisory Board. He addressed plans to accept federally-issued PIV and U.S. Defense Department Common Access Cards for access to the transit system. The transit agency is in the throws of an infrastructure renewal process, highlighted by the revamping of its fare collection to an open loop payment system. Dubbed the New Electronics Payments Program, it will bring D.C. transit to the cutting edge of payment technology by accepting bank-issued contactless cards, government issued IDs and completely eliminating the disposable magnetic stripe tickets. The current fare collection system is more that 25-years-old and expensive to maintain, says Garback. Part of the problem is that each individual reader and turnstile needs to be updated manually so a centralized software push isn’t possible. Transitioning from the legacy system to the new system will be difficult because the fares are based on time and distance rather than a flat fee system, explains Garback. The current reloadable contactless SmarTrip cards–in use since 1999–will still be issued and accepted. The new system will retain some core features of the existing system, namely its SmarTrip and SmartBenefits programs. 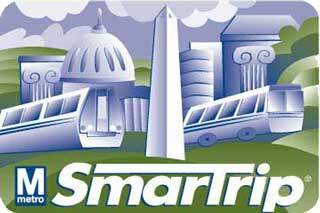 Civilian riders will still have access to the familiar SmartBenefits account system that enables employers to assign a predetermined dollar value of monthly commuting benefits directly to an employee’s SmarTrip card. These accounts will remain available to the customer to check and manage online. The new contactless fare collection system is inspired by one of the largest sectors of D.C. ridership: federal employees. During the peak season, 40% of D.C. transit riders are federal employees, and each is already carrying a government-issued contactless smart card ID. WMATA is keen on incorporating the federal IDs into the system. With such a large sector of D.C.’s ridership already holding these IDs, the marriage of the two seems inevitable. Federal employees are equipped with either a Common Access Card or a PIV to be used as their primary form of access to government facilities as well as its secure networks. WMATA intends to ensure that the new infrastructure upgrade will use these credentials as the payment token for federal transit benefits. The new system will not load an app onto the federally-issued credentials. Instead, it will link the card to a back office system for payment authorization. Additionally, credentials linked to a transit benefits account can be backed up by a secondary payment source if the customer opts to do so. This is a failsafe of sorts should an employee’s transit benefits be exhausted before the end of the month. As part of the bigger picture, the incorporation of PIV applies not only to the D.C. metropolitan area, but its surrounding regional operators as well. “The idea from a fare collection standpoint is to make accessing transit easy, effective and smooth, with the idea that contactless PIV cards will be compatible across various transit authorities,” says Garback. WMATA wants public transit to not only be efficient, but familiar regardless of the location. “We are trying to standardize the look, touch and feel of the transit experience,” says Garback. 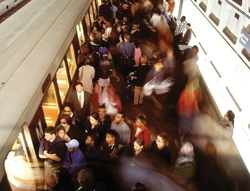 D.C. is not the only transit authority embarking on compatibility with federal employee IDs. Other regional transit authorities that service large numbers of federal employees are looking at ways to enable them to use their IDs for transit access. Garback cited that PIV compatibility is essential to New York City’s regionalized solution set, with Philadelphia, Chicago, Los Angeles and Boston all moving in that direction as well. Each transit authority will likely have its own unique architecture relative to PIV cards but contactless bankcards will be universally accepted. The transit agency is being mindful of the future as the arrival of NFC and mobile payments draw nearer. “The game-changer is the next gen of mobile phones,” says Garback. These handsets will put a fare vendor in the traveler’s hand, showing them where they are, when next train is coming and the fare. Then it will also serve as the instrument to actually pay the fare. Garback and WMATA are aware that technology is ever evolving, and with NFC on the horizon, WMATA intends to be ready. “Whenever NFC comes into play, we will be prepared to accept and process it,” says Garback. For the time being, however, WMATA’s initiative to incorporate Federal PIV/CAC cards into its payment structure is in its own right a game-changer. The pilot phase for the transit agency’s new payment system is still twelve months out, with plans to start at ten rail stations and a select number of bus garages in the lighter trafficked areas of the transit system. From there, the pilot will test some of the heavier, more densely populated sectors of the transit lines in order to thoroughly test the system. Garback expects an award for the project before the end of the 2012 calendar year, with full-scale deployment of the New Electronics Payments Program not expected until 2013 or 2014.